Another major event on the fall live tournament poker calendar is set to kick off in just a few hours and excitement is certainly building up at the Borgata Hotel Casino & Spa where it will take place. Of course, we are talking about the WPT Borgata Poker Open $3,500 Championship, an event that has been part of the WPT schedule since Season 2 of the popular poker series. This year’s edition of the tournament is set to take place from today, September 16, through September 21. As mentioned earlier, it is a $3,500 buy-in event. The Championship features a guaranteed prize pool of $3 million, but hopes are that there will be a massive interest in it and it will draw a plethora of players to crush the guarantee. Last year, the WPT Borgata Poker Open Main Event attracted a behemoth field of 1,132 entrants who smashed the guarantee and generated a prize pool of $3,623,532. Guo Liang Chen was the player to outlast the massive field and collect the tournament trophy and the lion’s share of the prize pool. Chen’s first-place prize amounted to $789,058. 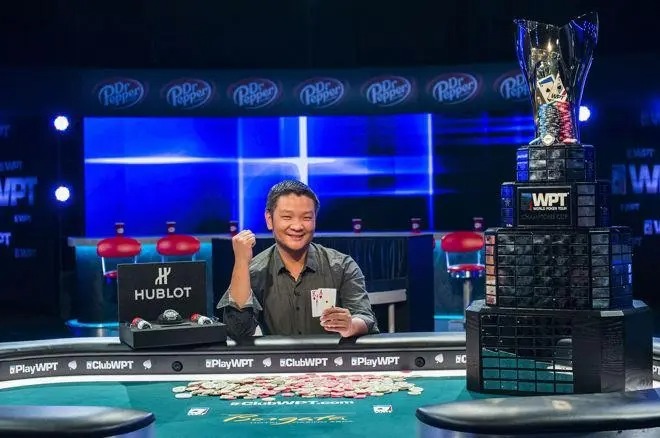 It is yet to be seen how much this year’s champ will scoop for remaining the last person standing from the field of one of the most prestigious events to be taking place annually as part of one of the world’s most popular live poker series. Roy Winston won the Borgata Poker Open Main Event back in 2007, or the Season 6 edition of the tournament. The player was part of a 560-strong field. Each of the tournament’s entries paid a buy-in fee of $10,000, which eventually resulted in the creation of a prize pool of $5,432,000. Winston’s share of the prize pool amounted to $1,575,280. That was the largest ever prize to have ever been won within the Borgata Poker Open. Winston played a star-studded final table that included the likes of Mike Matusow and Haralabos Voulgaris. The player eventually played heads-up against poker amateur Heung Yoon. The latter collected $832,725 for his runner-up finish. Newhouse won the Season 5 edition of the tournament back in 2006. The player outwitted a field of 540 entries to collect $1,519,020. The event was a $10,000 buy-in one and featured an overall prize pool of $5,238,000. Newhouse started his poker career in a particularly exciting way. The player deposited $50 with partypoker to turn it into more than $100,000 within the span of a single month. He won another $100,000 in the very next month, which convinced him that he should pursue a career in poker. It is also interesting to note that Newhouse is one of the few players to have secured spots at the final table of back-to-back WSOP Main Events. The player finished ninth in the 2013 and 2014 editions of the World Championship. Ardebili won the prestigious WPT Borgata Poker Open title back in 2005 after successfully surviving a field of 515 tournament entries. The tournament featured a prize pool of $4,995,500, generated from the $10,000 buy-in fee paid by its entries. 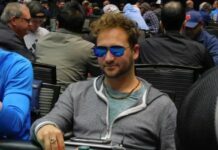 Ardebili scooped his title after four days of quality poker action that saw him remain the last surviving participant. 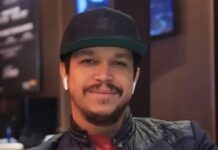 The player played heads-up against Ricardo Festejo to have his [Ah][9s] on the final hand dealt within the tournament sent his final opponent to the rail. Festejo collected $799,280 for his efforts.